We have just had lunch, we take the car and change the neighborhood and the landscape. 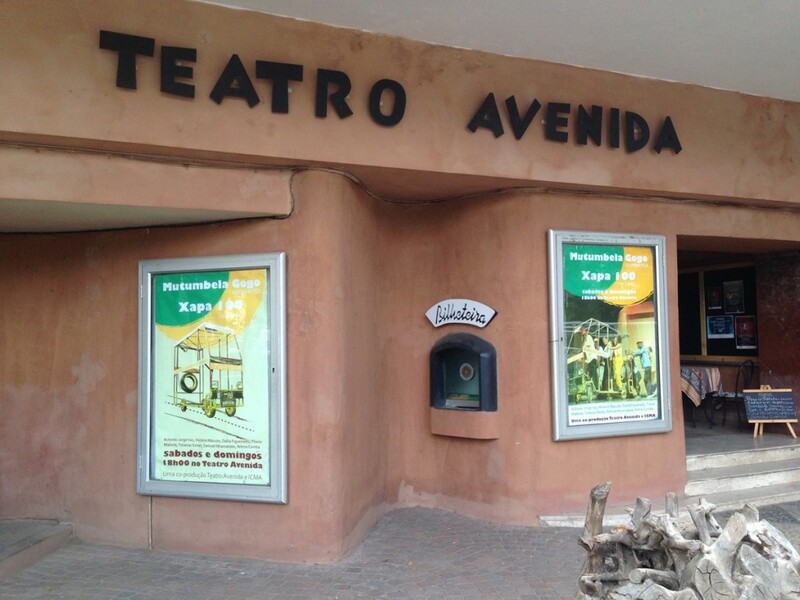 We head for the Avenida Theater. The building is located in a wide street, with commercial activities on both sides and traffic, we are in the part of the city which has the best services. Avenida is just like in the photos we have found on the net, we are talking about what probably is one of the best theaters in Maputo. 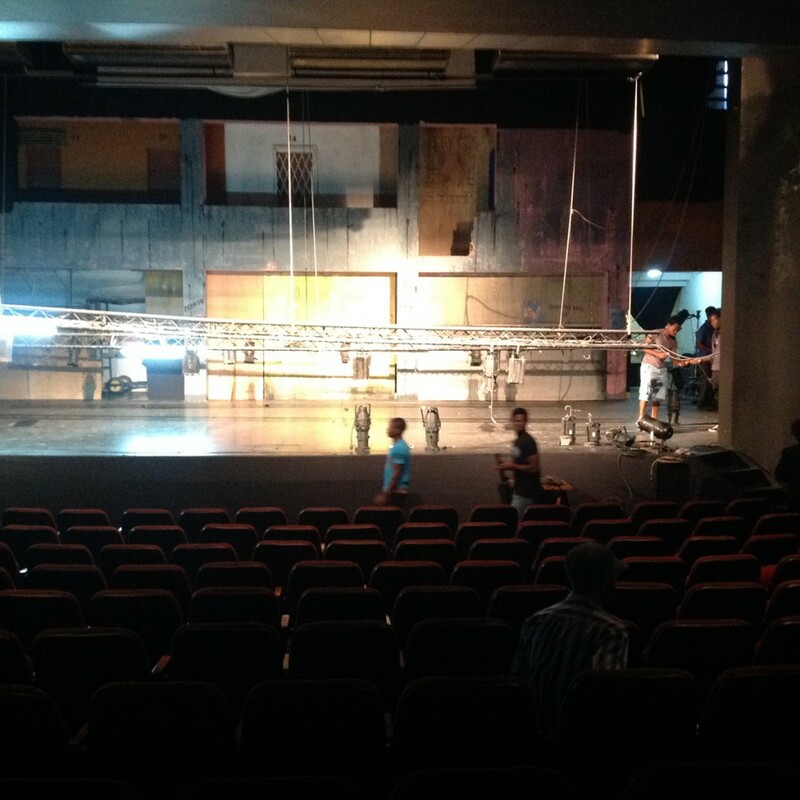 We meet Manuela Soeiro, director of the Avenida Theater for 30 years. She welcomes us smiling, she knows very well who we are, she knows Dario, Franca and Jacopo, she organized theater performances of their comedies, she tells us that in 2006 she was going to meet Jacopo but then it just did not happen. We discovered this reality thanks to the actress Daniela Poggi (http://www.ilteatrofabene.it/da-dove-comincio/), who we had met in Italy, reality that here, in 2006, she shot the short film “Non si paga, social Theatre”(“Won’t Pay, Social Theatre “), inspired by a text by Dario Fo himself. We are sitting in a semicircle in front of this elderly lady who tells us the stories of “her” theater and “her” actors. She is not just the director, she is Mama Avenida! We briefly tell her about our project, she replies that the theater has its own company, Mutumbela Gogo, and she would be happy to work with us. 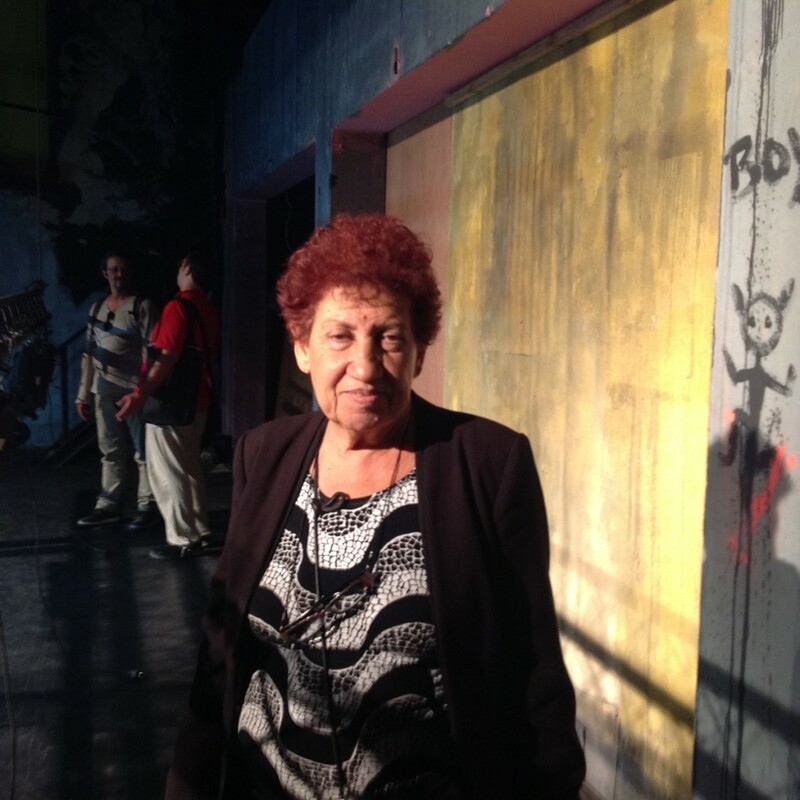 She tells us laughing that the Avenida has never managed to self- finance, and for that reason many years ago she bought the place next to the theater and set up a bakery. 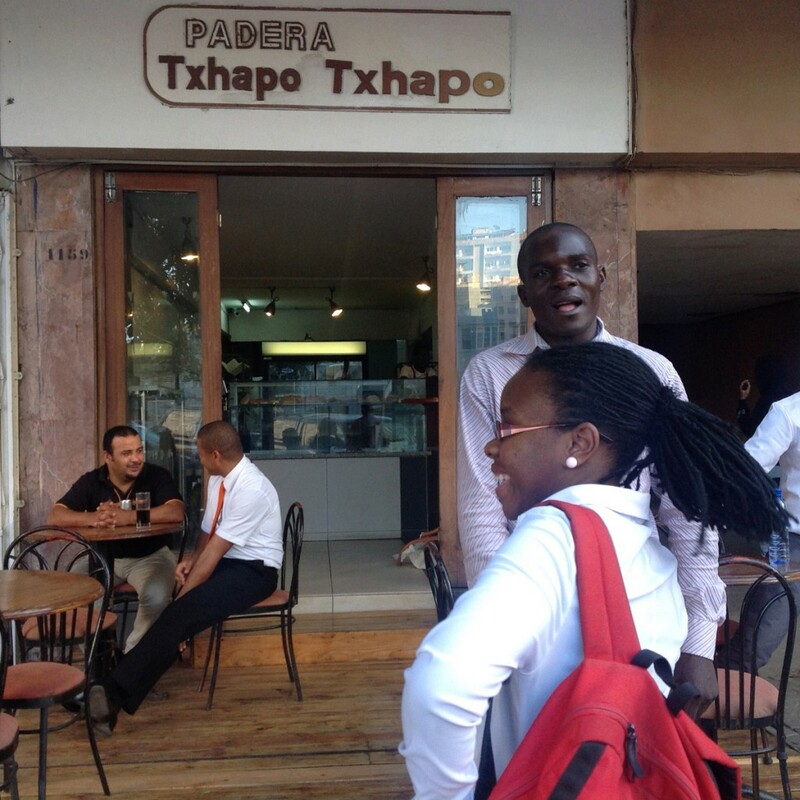 The best theater in Maputo finances itself thanks to a bakery. Beautiful Africa ! 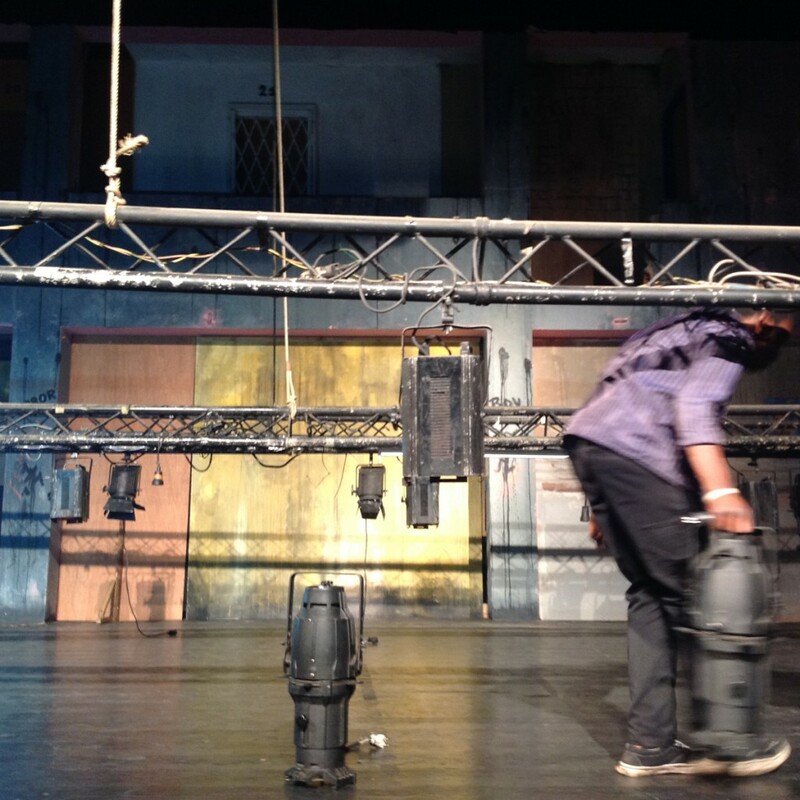 We take a tour inside the theater, they are preparing the lights and a set design; the usual photos and before leaving, purchases in the bakery, of course. We have risked going to jail !!! Ok, maybe I exaggerate, but we were stopped by the police because we took photos of their barracks. They wanted to sequester everything, they asked for our passports, in short, there was a bit of anxiety. Thanks to the driver who had explained the situation to them, we got out of it with only a verbal warning. I must say that those guns and those rifles were convincing to me. Absolutely convincing.